Spring is here! The weather in Kansas City has been beautiful lately and it just seems to put everyone in a good mood when the weather is nice. That is however, unless you become a victim of a shattered screen, like this one a customer brought in today. Ouch! Electronic devices are VERY important to all of us in this day and age and when they stop working correctly, it can throw your whole routine off. 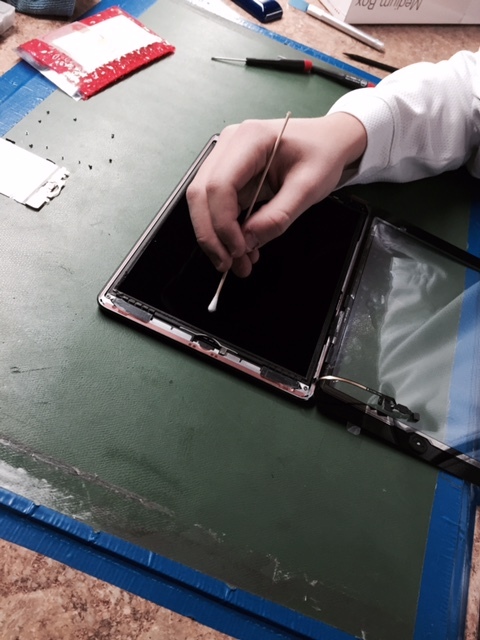 Mission Repair is here to help and we have a long line of iPad repair services. Whether you have a cracked screen, broken home button, faulty charging port, or worse – Mission Repair has you covered. 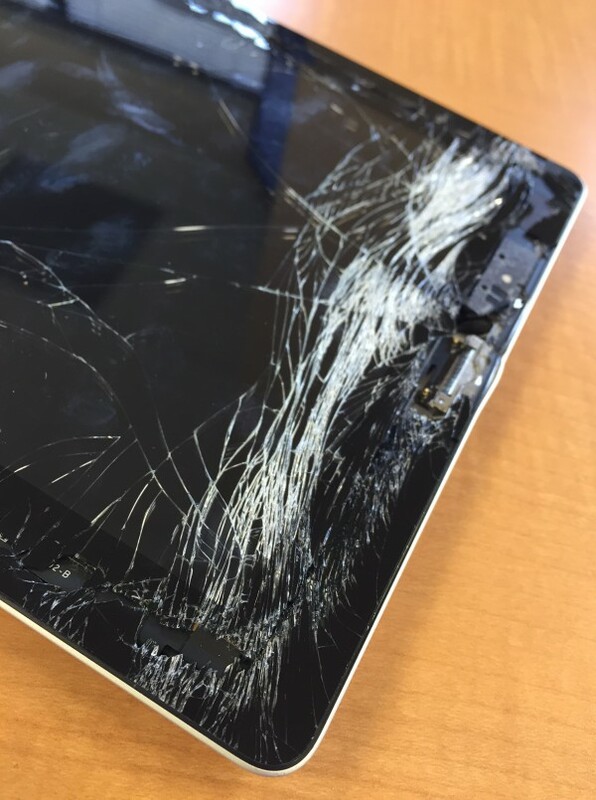 Step 1: Place your 24 Hr iPad Screen Repair order online at www.missionrepair.com, over the phone (1-866-638-8402) or stop by one of our walk-in locations. Step 2: Once your order has been placed you will receive a confirmation email with your order number (This email also includes shipping instructions if you are shipping your device into our repair center. 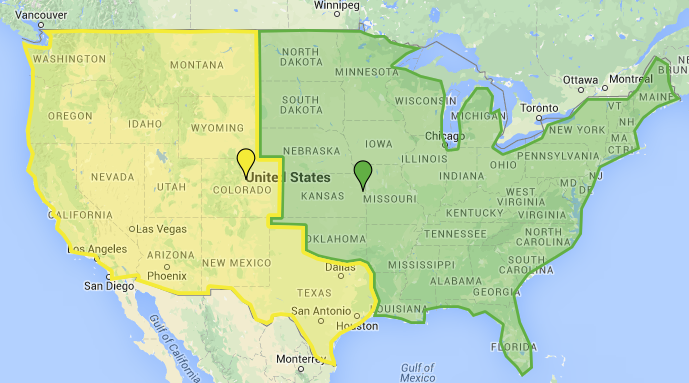 We service every address in the USA!). 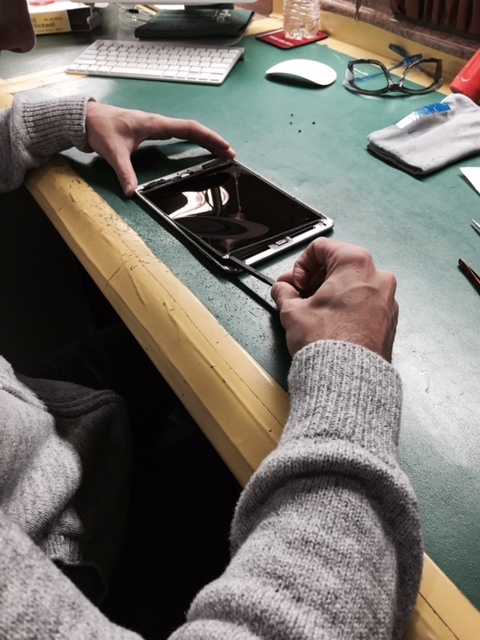 Step 3: After we receive your device it will then be pre-tested prior to repairing and if ANY additional repairs are needed we will contact you immediately (we don’t perform any additional repairs without your approval). Then, one of our certified technicians will replace the defective part with a brand new one. Step 6: Your repaired unit is shipped back to you according to your selected return shipping option. You will receive an email with tracking information once your unit has been shipped so you know when to expect it. If you stopped by one of our walk-in locations then you will receive a call notifying you that your device is ready for pick up. From the time we receive your unit to the time it is repaired is just about 1-2 business days. It is that easy. Mission Repair has been servicing iPads across the United States since 2008. So, the next time you need your iPod, Smartphone, iPad or Laptop serviced – Mission Repair has you covered! Shattered iPad Screen? No Problem. We all know how important our phones, tablets and computers are to us. We rely on them more than ever in this day and age, so when they aren’t working correctly it can really throw off your daily routine. At Mission:Repair we have heard about every story there is for a shattered iPad 2 screen or liquid damaged iPad Mini and are sensitive to your situation. We offer a long line of repairs for smartphones, tablets and computers and our technicians do everything they can to get your device back into great working condition. 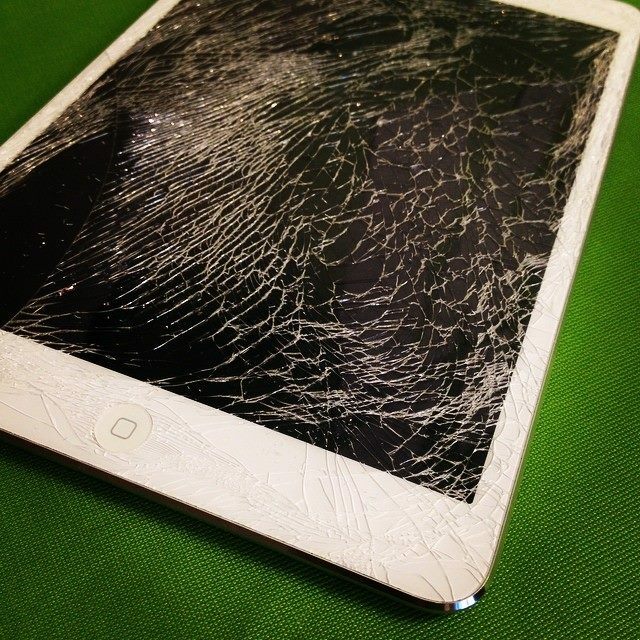 Do you have a shattered screen, defective battery, damaged charging port or even liquid damage on your iPad? No problem. Let Mission:Repair take a look at it, we will get it repaired FAST. Not sure what the issue is with our iPad? We offer a FREE Diagnostic Service in which we have our technician take a look at your unit, assess the damage, provide a quote for repair and call you for approval. 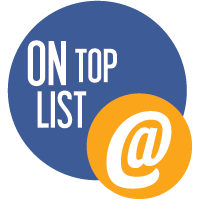 Our certified technicians won’t perform any repairs until they have approval from the customer. Give us a call at 1-866-638-8402 or visit our website to set up your repair order. 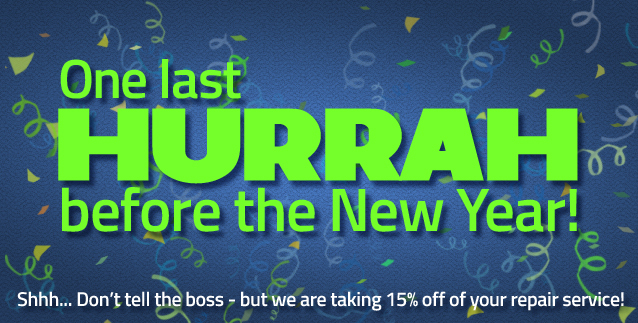 Save 15% With Our ‘Last Hurrah’ Coupon! 2015 is coming and we have created a special coupon code that is only redeemable until 12/31/14. All you need to do to obtain this HUGE discount is email newsletter@missionrepair.com. In return, we will supply you with a coupon code worth 15% off your entire order! It is that easy! So come on, it’s time to finally have that Smartphone, Tablet or Laptop repaired and start the New Year off right!